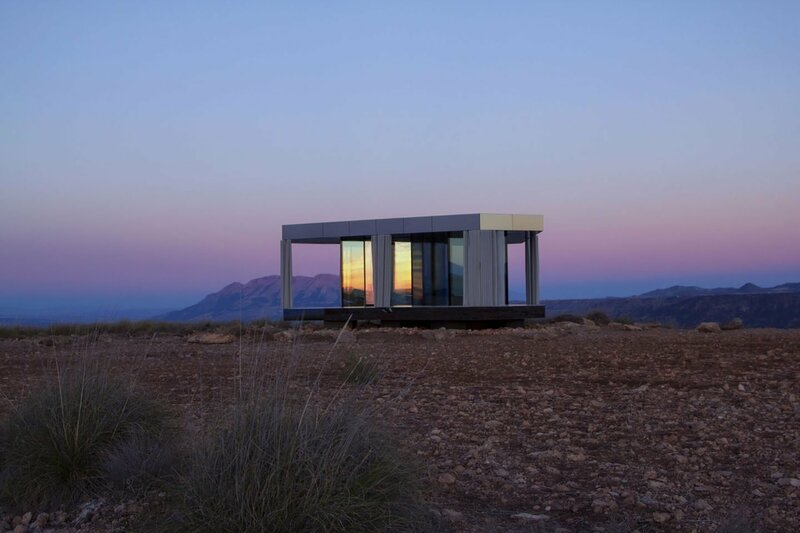 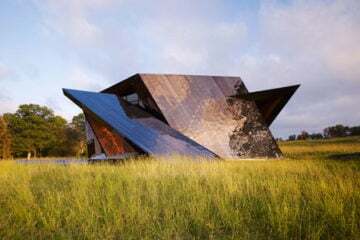 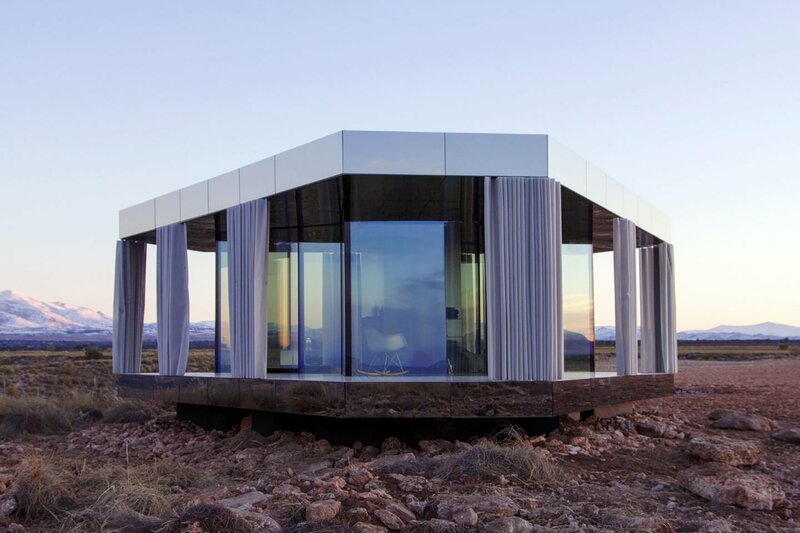 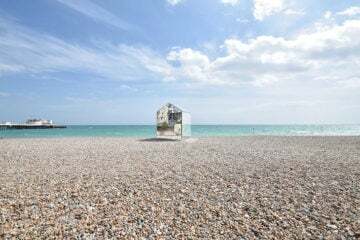 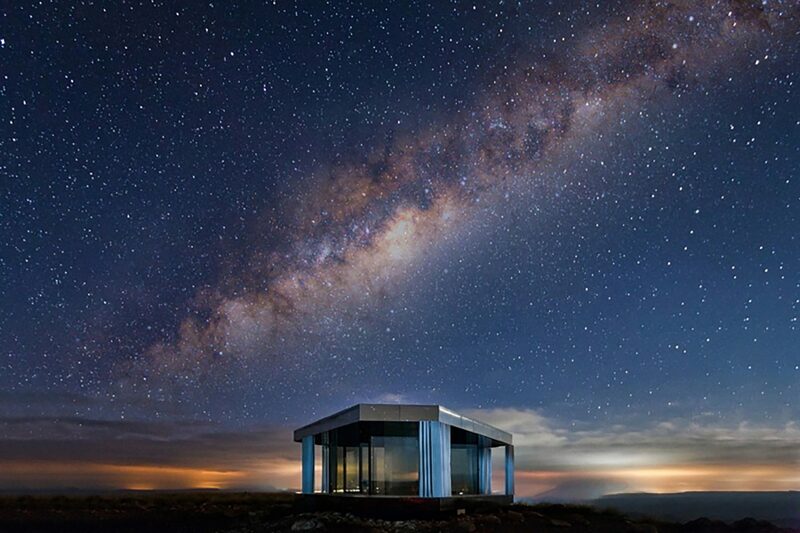 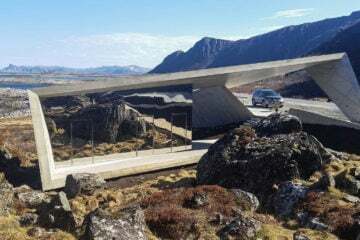 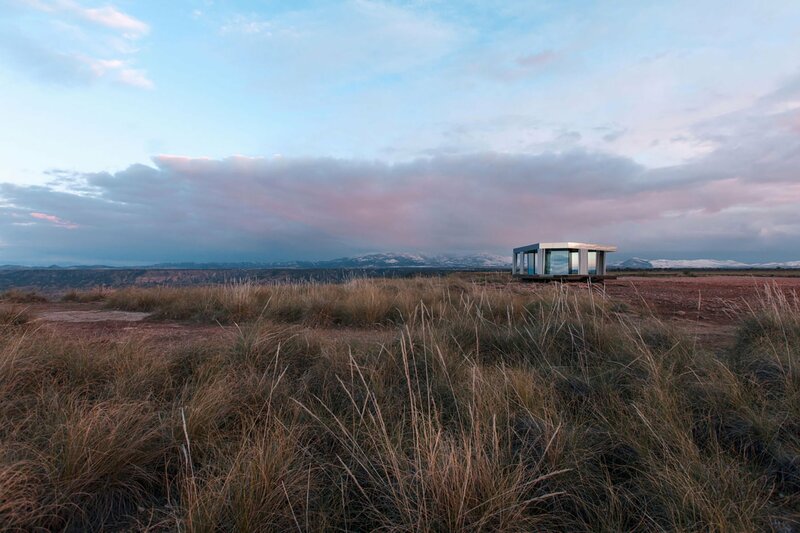 Built in collaboration with Guardian Glass, the off-grid home was designed to survive the elements in one of the harshest environments in Europe. 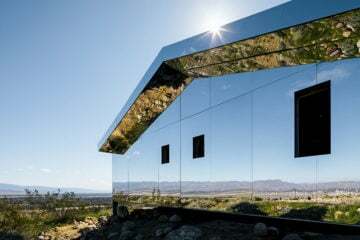 In the Gorafe desert, temperatures rise to over 40 degrees Celsius during the day and drop below freezing at night, while wild winds tear through the landscape. 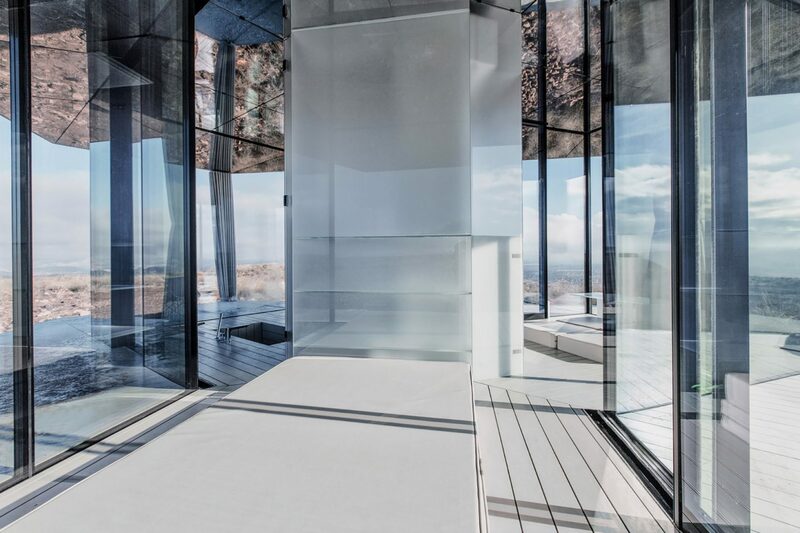 “If you can build a glass building that resists these kinds of conditions you can build that building anywhere,” says lead architect Spela Videcnik of OFIS Arhitekti. 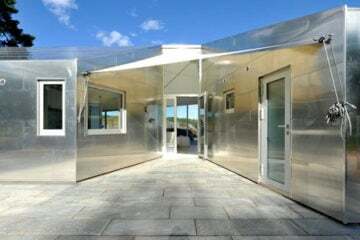 The high-performance, energy efficient glazed glass has been used to create the off-grid prefab structure: insulated Guardian SunGuard glass envelopes the exterior of “If you can build a glass building that resists these kinds of conditions you can build that building anywhere”the building, providing protection from both winds and the heat of the sun. 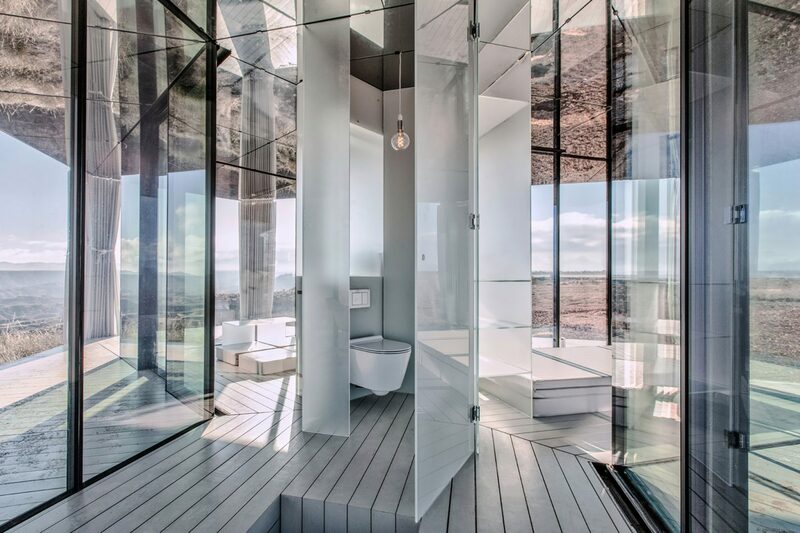 Inside the structure, normal glass has been used to create structural walls, allowing a synchronistic experience of living in the desert. 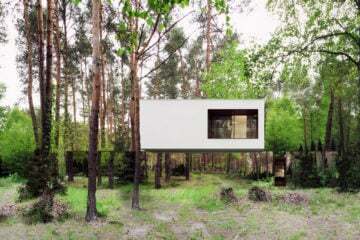 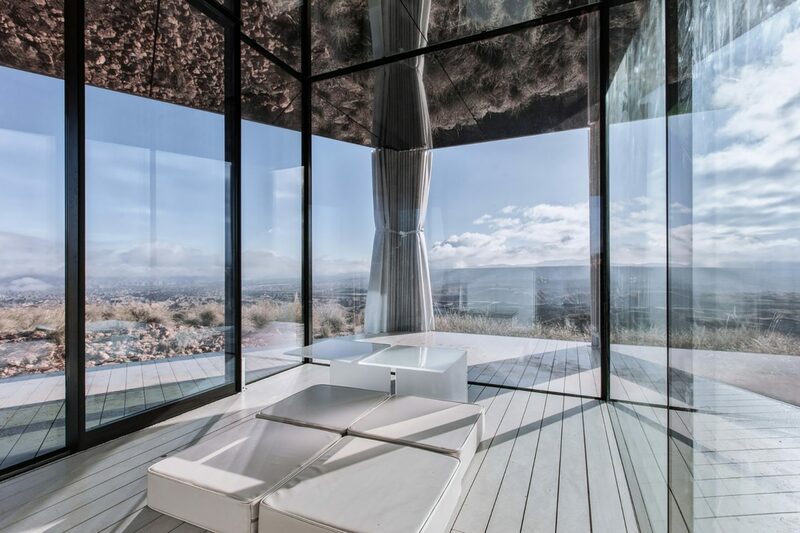 Designed as a Y-shape, the floor plan offers a living area, bedroom and sunken bathtub off the central axis which houses an enclosed toilet. 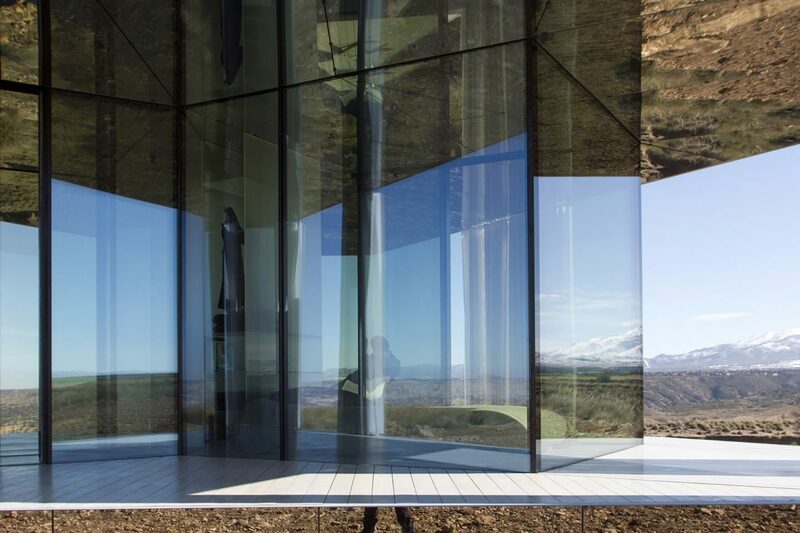 Timber has been used throughout, its floorboards extending beyond the protective external glass walls to form the deck that wraps around the building. 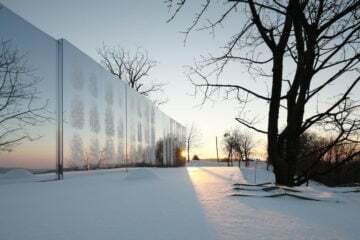 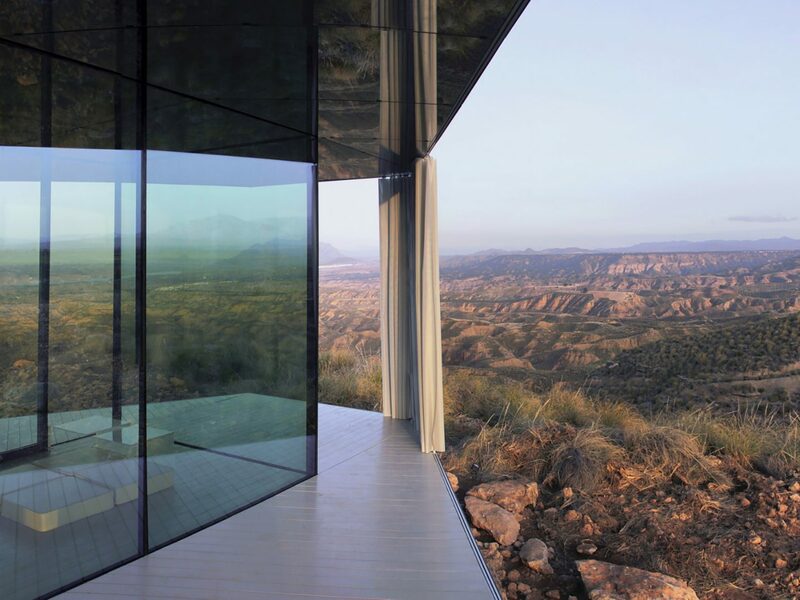 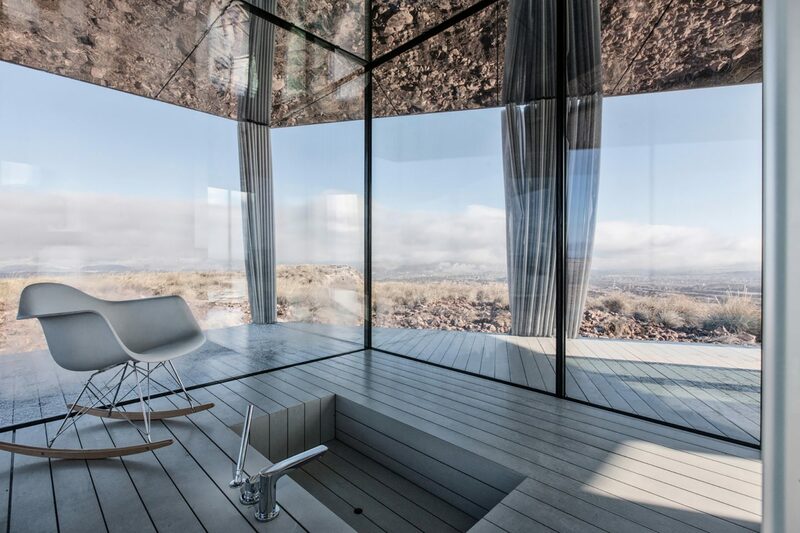 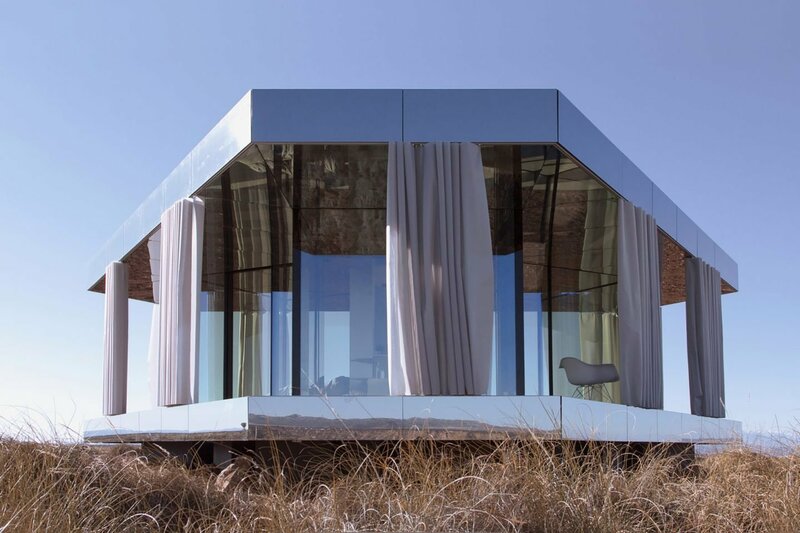 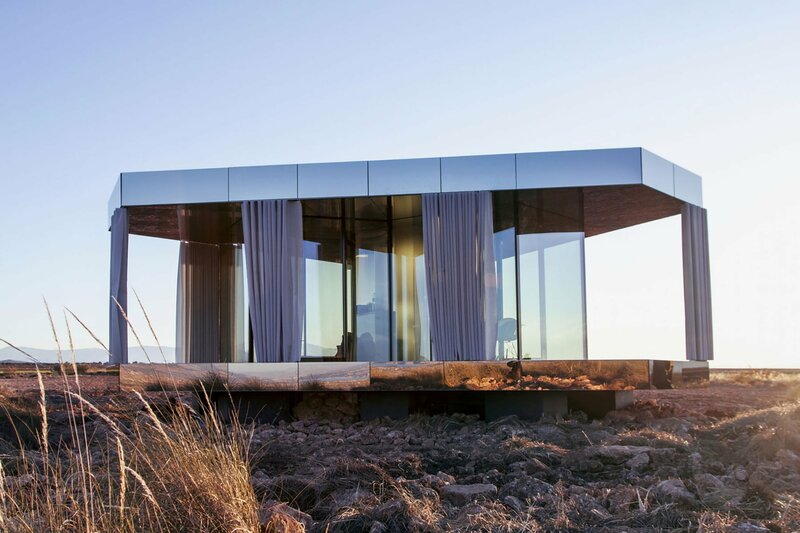 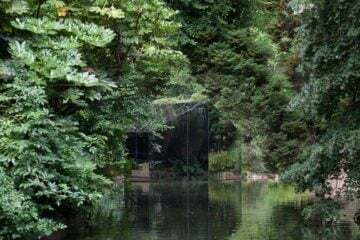 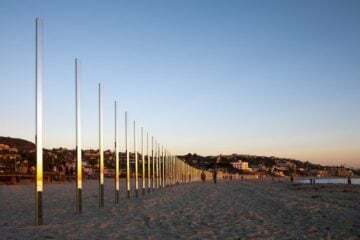 Here, curtains can be drawn to shield the home from the sun, and mirrored glass offers a reflective view of the landscape. 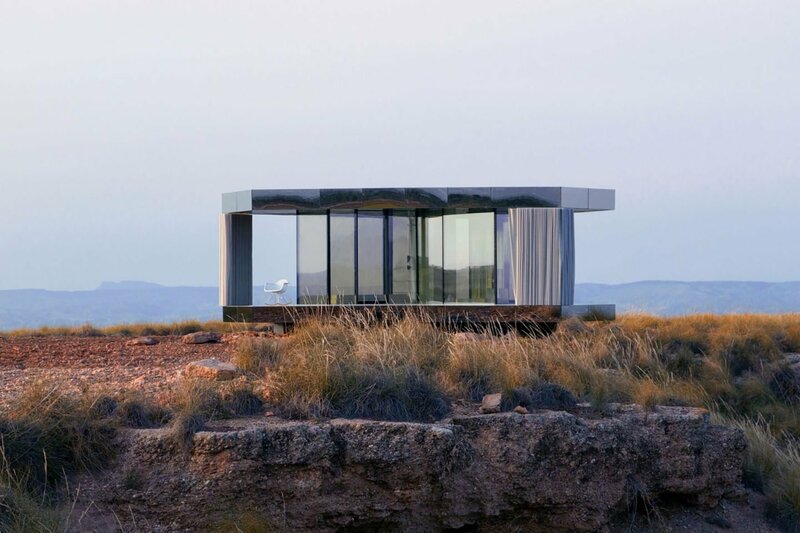 Given the remote location of the building, it has been designed to be self-sufficient in energy and ecological in its waste management: electricity needs are met via solar panels, water is captured in a tank from rainfall, and wastewater is treated in a separate septic container that is buried beneath the structure. 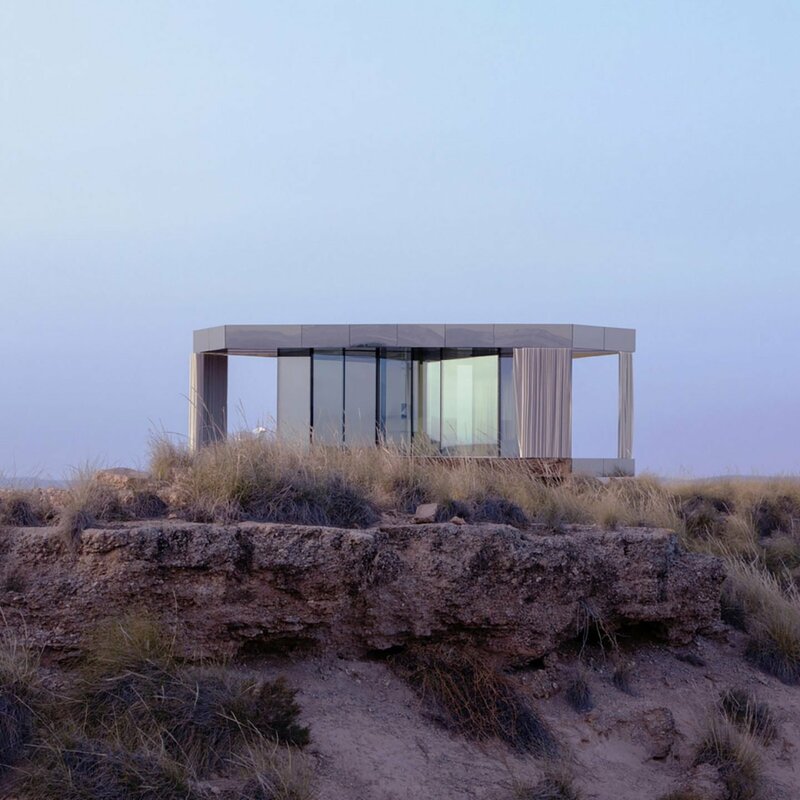 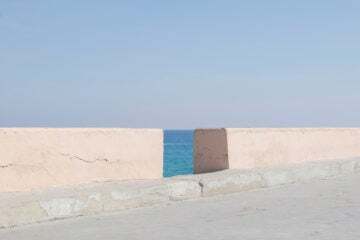 The building will remain in the Spanish desert for a year, before being moved on to a new site for further testing.